Recently, the Niagara Region experienced some freezing temperatures that were almost unbelievable. You didn’t like it, and we have news for you, neither did your Honda. While the mercury has been rising in the past few days, winter isn’t over yet. So, here are some tips from your family at Henley Honda for the next deep freeze. If you didn’t do this in preparation for winter already, get on this ASAP. The levels of fluids like antifreeze, oil, brake fluid and defroster must be watched to keep your car functioning properly. If your oil is thick and dark, make sure to get it changed. Windshield wiper fluid will freeze in cold weather, so replace your summer fluid with wintertime-specific freeze-resistant washer fluid. Also, make sure your antifreeze is working efficiently. Check the normal (or not-so-normal) lows for your area and add more if needed. We’ve talked about the importance of cold weather tires before, but did you listen? Remember that the rubber of your all-season tires hardens in cold temperatures and the tread depth is important when it comes to handling in snow and ice. Winter tires are made to keep that elasticity when the weather gets icy, maintaining traction on roads and that short stopping distance you’re used to in warmer temperatures. Cold weather tires also have specially designed treads made for snow. These treads will grip snow without becoming packed with it, keeping you — and not the winter roads — in control. Vehicle hoses contract in cold temperatures and expand when they warm up when the car is running. This can cause leaks or even blown hoses, so a quick visual inspection and feeling for soft spots will make sure everything is in proper working conditions. Short trips are not good for your vehicle. Make sure you give your car enough time to properly warm up with longer drives. Those short drives to the corner store and back just won’t do it. Short trips are considered severe operation, so take a few trips around the block to let your fluids warm up and burn off any access water vapour. If you don’t already have one, investing in a block heater will do wonders for your vehicle in extreme cold temperatures. By plugging in your car in the early morning or overnight when winter weather hits, you will keep your fluids from getting cold and thick, which strains the moving parts of your engine. It will also make starting your vehicle and the warm-up process easier. 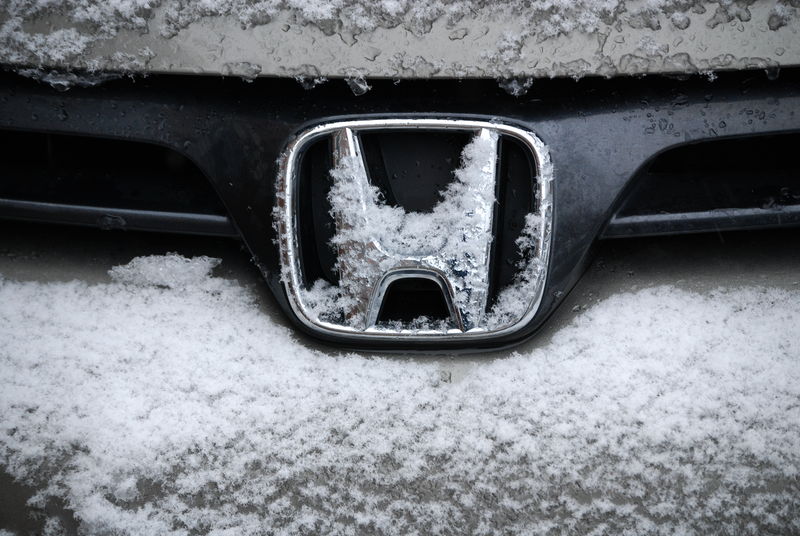 Don’t forget to bring your vehicle in to Henley Honda for a winter check-up if you haven’t already. There are still a few more weeks of winter to come and we want you to be safe when you get behind the wheel when a deep freeze hits.